Bighorn sheep have had a hard time in many areas of Montana. Pathogens that can cause deadly pneumonia are the biggest problem. 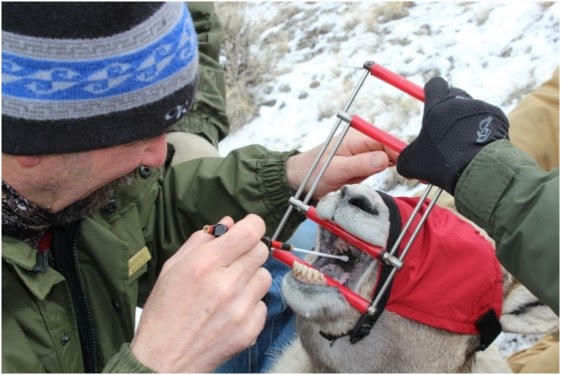 Research by MSU and Montana Fish, Wildlife & Parks scientists is showing that transplanting bighorns may have hurt the herds in some cases. The studies have shown that different groups may carry slightly different pathogens. If a sheep with a different pathogen is introduced, a herd might not have immunity. The findings are frustrating attempts to restore bighorns to more areas across the state. The exception seems to be bighorn sheep living in the Missouri Breaks. Those herds are doing extremely well. The studies are continuing and will hopefully provide some answers to a long-standing problem.